Another wonderful gentlemanly victim graces my blog and another warm welcome is needed for Mr. Carl Purdon! Carl Purdon lives in Pontotoc, Mississippi with his wife and two of their four children. Pontotoc is halfway between Tupelo, which is the birthplace of Elvis, and Oxford, which was the home of William Faulkner. Since he can’t sing, he writes. Since he’s not an expert on anything in particular, he writes fiction. THE NIGHT TRAIN is his first novel. I wrote poems as a child (I still have a scrapbook with my scrawling) and throughout my 20’s. Though I knew at a very early age I wanted to write novels, I waited until I thought I was ready. That took longer than I expected, so I suppose I seriously started working on novels about ten years ago. Why? Because I had to. It’s just always been something I’ve known I was born to do. It’s my purpose in life. I am a parent and, yes, being a parent changes everything about everything. I’m lucky in that my youngest (he’s 9) writes his own stories. He totally supports me and even tells me sometime that I should be writing instead of doing other things. I don’t have a favorite anything. Never have, but I have lists of favorites. I suppose James Fennimore Cooper would be at or near the top of that list because his novel, The Pioneers, made me fall in love with reading all over again. Again, since I was a child, I’ve “known” my purpose in life was to write. I think that’s one of the ways I got through my childhood – telling myself everything was for a reason. I write real-life fiction – stories that aren’t real but “are” because the things I write about happen every day. If just one person reads my writing and realizes “I’m not alone” it will be enough to make all that work worthwhile. On a more selfish note, my personal goal is to write something people will still be reading a hundred years from now. When I was that kid standing in my front yard so many years ago, that was the benchmark I set for myself. I’ll never know, of course, if I succeed. Self. I hate writing queries and a synopsis. And the idea of someone else polishing my manuscript makes me cringe. It’s not ego. It’s not some notion that I’m so great that no one could possibly improve my writing. It’s simply that I’ve always felt that if I can’t do it on my own then I’d rather not do it. I’m not talking typos and inadvertent words left in sentences after an edit. I’m talking about structural changes. A painter doesn’t hand his masterpiece off to someone else to smooth out the brush strokes, so why should a writer expect someone else to smooth out his or her rough edges? Beyond that, the notion that a handful of people really are the best judges of what should be available to readers, especially in light of the so many examples of where they have failed, baffles me. Let the readers decide. My one hard and fast rule has always been not to publish a novel that I’m not completely satisfied with. I have a handful of completed manuscripts in my files that don’t live up to my expectations of myself. Maybe I’ll go back and have another go at them someday. Maybe not. THE NIGHT TRAIN was one of those slush pile manuscripts that I thought was good but not good enough. One day I found myself bogged down in the manuscript I was editing and re-opened The Night Train in hopes it would break the monotony and get my creative juices flowing again. I decided to re-write it without any concern of market. It was an experiment no one but me would ever read. The result was that I found my voice. When I finished it, I put it away for a few weeks, then read it on my Kindle. The feeling of satisfaction is one I can’t describe. I knew at that point I could withstand any negative reviews that might come my way because, good or bad, it was what I had set out to do. Thankfully, so far at least, all of the reviews have been great. 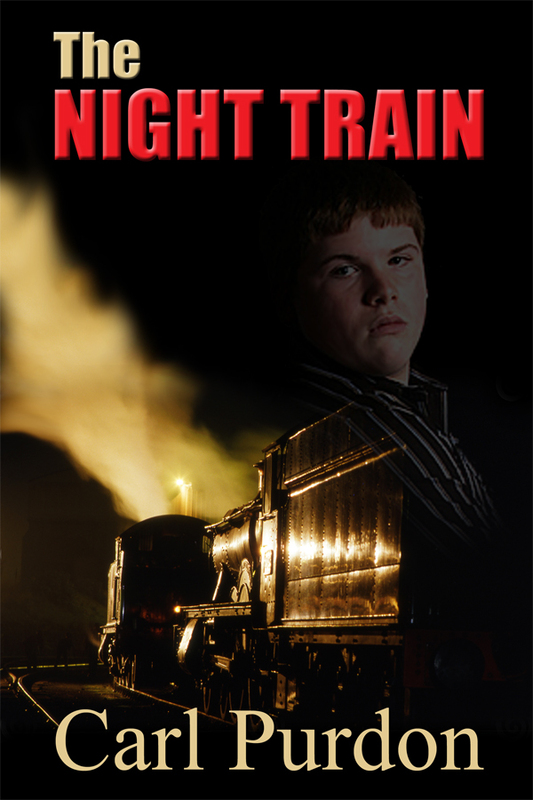 THE NIGHT TRAIN is the story of a dysfunctional family. It is set in rural Mississippi, but could be set anywhere, because those same people exist everywhere. Jayrod, the main character, is terribly abused by his father and bullied at school. His mother, who is also abused, blames Jayrod. His fourth grade teacher often ridicules him in front of the other students. His single escape is the time he spends alongside the railroad tracks in the woods behind his house with his friend Arnold. Every night, from his back porch or his bedroom, he hears the whistle of the nighttime train as it tears through his woods and dreams of the world beyond the reach of his father. I suppose you could call it a coming-of-age story, because that’s exactly what happens when Jayrod and Arnold run away aboard the train, but I think it’s much more than that. It’s more than just Jayrod’s story. It’s also the story of his family. Writing The Night Train has made me look at people with more compassion when they don’t behave the way normal people behave. Everyone has a story. Everyone has a past. I honestly don’t know what genre my writing falls into. If I could figure that out I might be able to do a better job at marketing. I write because I have to write. That may sound strange, but when I don’t write I have terrible nightmares. Writing doesn’t keep them completely at bay, but it helps. The nightmares, I think, are stories I haven’t told yet. It’s the story that’s important. Jayrod is defenseless. He’s the shy kid in the classroom who never raises his hand to answer a question. He has learned to survive by becoming invisible, and he isn’t old enough to know the world isn’t supposed to be that way. Mostly, because he is real. Every school has kids like him, yet with all the training, so many seem to fall through the cracks in the system. No soundtrack. I need to do a trailer, though. Thanks Carl for spending some time with us! As always its been a pleasure! You can catch Carl on his website and his blog!